Milan, Italy was the place chosen to host the second meeting of the Our Voices project which took place on the 15th -17th May 2017. The meeting not only provided us with the chance to catch up with the activities carried out over the last six months in the UK, Germany, Sweden, Italy, Spain or Poland and plan new actions, but also allowed us to review one of the key aspects of the Project: the creation of local stakeholder groups. Organizations who may use curated stories (i.e. services, policy makers, public sector etc. ): These currently include representatives from Manchester City Council, Metropolitan City of Milano and Jan Diugosz University. Organizations who curate stories (i.e. media organisations etc. ): These currently include representatives from the BBC, the Association of Journalists (Spain) and TV Orion. Organizations who deliver training (i.e. VET providers etc. ): These currently include representatives from Inspiring Communities Together, Polska Rada and Changemakers. Organizations who may access curation training (i.e. community organisations/groups, professional bodies etc. ): These currently include representatives from Manchester Careers Forum, IYDA, The Institute of Community Reporters and Radio Atlántida TORO. 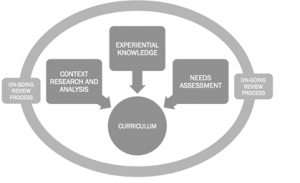 Context research and analysis: This will involve desk-based research and analysis of existing curation practices and curriculums across Europe. Experiential knowledge: This will be gathered from the existing knowledge of the Partners’, Stakeholder Groups and other training providers and facilitators. Needs assessment: This will be ascertained through consultation with our stakeholder groups, in particular those who use curated content, those who provide training provide in curation and related fields and potential participants of curation training.